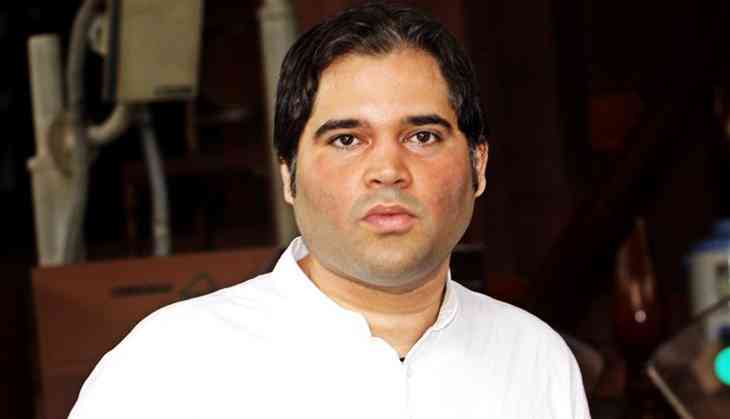 Bharatiya Janata Party (BJP)?MP?Varun Gandhi on Tuesday said for the "greater good" of the nation there is a need for setting up an external body, which is independent of parliamentarians to decide on salary. Raising the issue in the Zero Hour in the Lok Sabha, the Sultanpur MP demanded that parliamentarians should forego their privileges for the remaining period of Parliament, considering the economic conditions of people in the society, especially farmers. He said allocating the authority to increase their own fiscal compensation was not in line with the morals of democracy. "For the greater good of this nation, we must create an external body, independent of us members, to determine salaries. Or, if we self-regulate, considering the economic conditions of the last man in society, we must empathetically forgo our privileges, at least for the duration of this parliament," he said. Hitting out at the practice of lawmakers to often raise the demand for a salary hike, he cited example of such decision taken under the first Prime Minister of India. "In the meeting of the first cabinet meeting of Pt. Jawaharlal Nehru, the entire Cabinet took a collective decision to not avail of their salaries for 6 months in view of the economic suffering of the citizens at the time," he said. He also gave examples of many such members, like Biswanath Das from Odisha, who chose to draw only Rs 25 a day instead of Rs 45 a day, which they were entitled to, saying that he did not need/require any more. Similarly, V I Muniswami Pillai, in 1949, moved a motion in the Madras Assembly to impose a voluntary cut of Rs 5 per diem in recognition of the suffering of the farmers. The Assembly had then unanimously passed the motion. Highlighting the recent decision of doubling the salaries of its legislators by the Tamil Nadu Assembly, Varun urged the House to take lessons from the past. "A few weeks ago, a farmer from Tamil Nadu tried to take his own life in the national Capital, in order to register his protest against the suffering of farmers in the State. We know that in the past months, members of the same group had drank their own urine, demonstrated skulls of fellow farmers who had committed suicide, in order to make their point strongly. On the 19th of July, the Tamil Nadu Assembly in a brazenly insensitive act, doubled the salaries of its legislators," he added. The BJP MP further said that the United Kingdom has an independent Review Body on Senior Salaries consisting of distinguished non-members, to advise the government on the pay and pensions of MPs and added that such a mechanism "sadly" does not exist in India. "In the Parliament of the United Kingdom, a model our parliament is derived from, an independent authority - Review Body on Senior Salaries - consisting of distinguished non-members, advise the government on the pay and pensions of MPs. This authority takes into account the recommendations of both the beneficiaries and the public. It then checks the validity and affordability of these recommendations. Such a mechanism does not exist in our nation, sadly," he added. He said, in his opinion, the allowances drawn by the Members of Parliament and various Assemblies must be in proportion to the services rendered to the nation. He said if we look at our "performance" over the last two decades, barely 50 percent of the bills have been passed after scrutiny from Parliamentary Committees. "When bills pass without serious deliberation, it defeats the purpose of having a Parliament. The House itself has been created to dissect, analyse, debate laws, and ensure that every law has a strong policy mechanism behind it. The rush to pass bills shows a priority for politics and not policy. 41 percent of bills introduced have been passed without discussion," he added. The BJP leader said when matters regarding salary are raised recurrently; it makes him worry about the moral compass of the House. Further putting his view point, Varun said, "there are those who say that MPs should be paid in line with the private sector. Madam, those employed in the private sector are driven primarily by their self-interest. Ours is a service to the nation, a mission to make this the India of our dreams. To compare these two motives is to misunderstand the commitment to public life." Varun said it was "shameful" that the number of sittings in the Lok Sabha had dropped from 123 days a year in 1952 to 75 in 2016. "I don't want to bring up the issues of MPs taking cash for asking questions or cash for votes, but I must lastly add that from a number of sittings in the Lok Sabha of 123 days a year in 1952, we dropped to 75 in 2016. Sessions like the Winter Session of 2016 hit a low-point of 16%. It is shameful. Taxation bills, as significant as Aadhaar, were passed within two weeks without being referred to a committee," he added.